THANK YOU TO ALL WHO ATTENDED THE EVENT ON THURSDAY NIGHT. 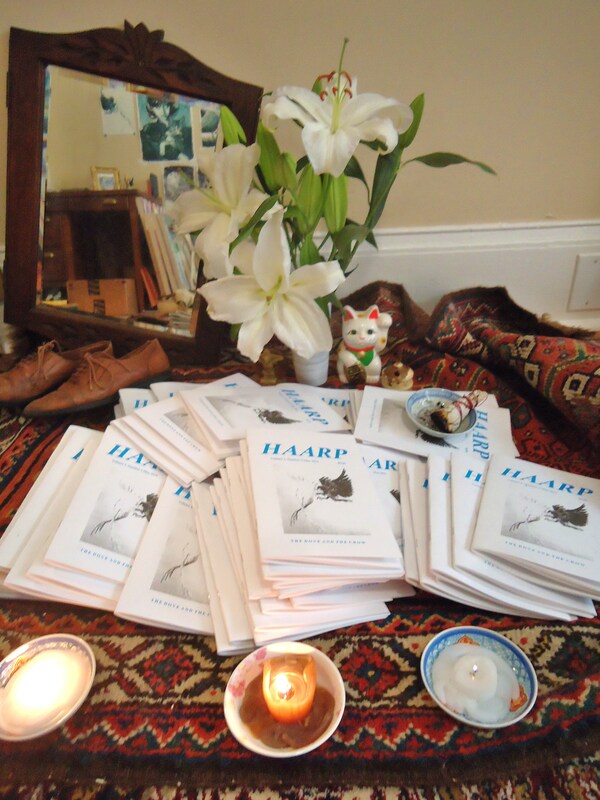 . .
Free copies of HAARP Vol. 1 No. 3 are now on hand at Adobe Books + Arts Cooperative, and will soon be available at City Lights Bookstore, Dog Eared Books, Alley Cat Books, Modern Times Bookstore Collective, and Bound Together Anarchist Collective Bookstore in San Francisco. Like samurai about to charge headlong into an impossible conflict, we raise our matcha high. The self has vanished, at last.